I have been a big fan of Carved products since they started producing accessories in 2011 for the same reasons. 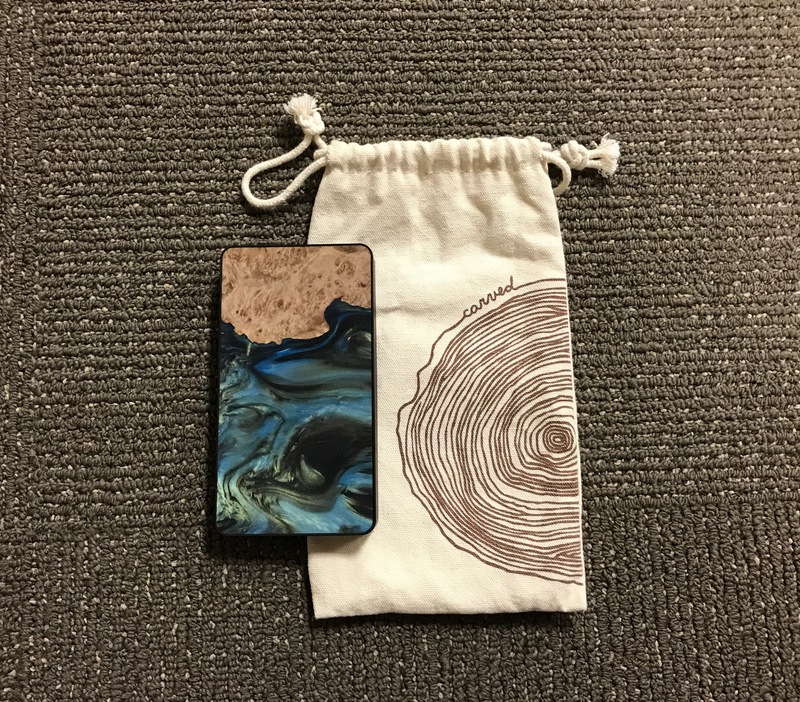 If you have never heard of them, they are a small, but growing company in Elkhart, Indiana that produces hand-crafted, American-made wood accessory products for mobile devices and electronics. 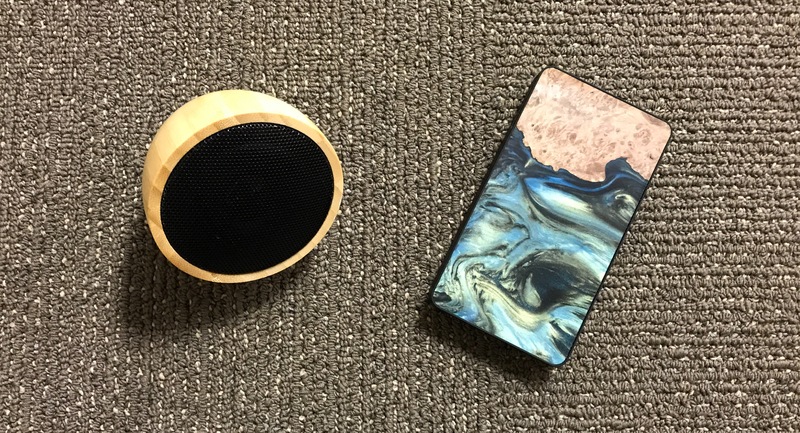 Their offerings have expanded over time from basic cases with beautifully stained and designed wood backs to full coverage wood cases, to now include portable power banks and bluetooth speakers. Their range of woods, stains, and designs has also greatly expanded since I wrote my first Carved case view a few years ago. I highly recommend you take a look around their website at all they have to offer. I can assure you of one thing from my experience using and testing Carved products- they draw attention. When people see them, they often ask questions and want to take a closer look. I guess seeing a finely crafted piece of wood covering a piece of modern electronics is striking at first. Several other case manufacturers have followed suit over the years, so I guess its safe to say that Carved has been on to something. Now let’s take a look at two of their latest creations. 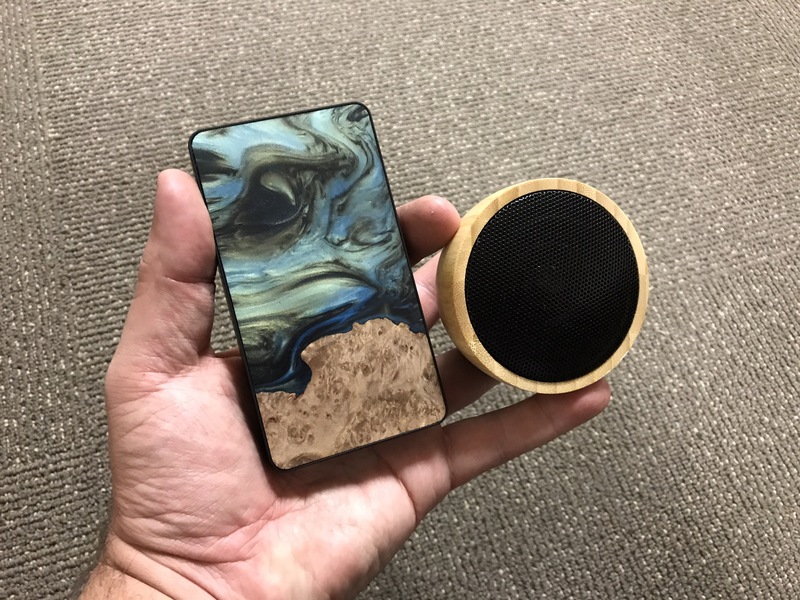 When the folks from Carved first reached out to me to talk about their new products, I thought to myself, Why make a wood covered power bank? It looks great, but what is the point? 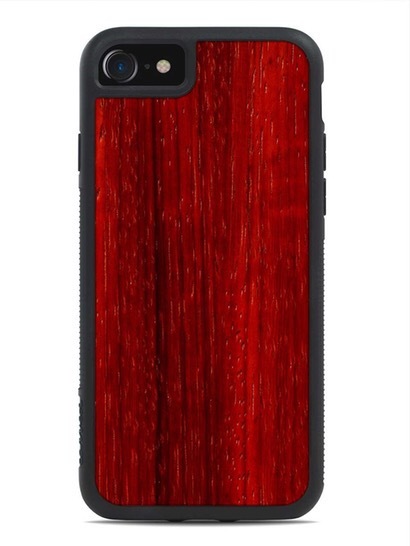 However, if you extend that logic out, why make wood cases for smartphones? Or leather? Or any other finely crafted material? There will always be those of us who prefer to have something with a more interesting design and construction. This is the same reason many of us are Apple users, in the first place. And the way many of us depend on our smart devices these days, we will be carrying a power bank almost as often as our phones and watches. Why not carry one that makes a statement? 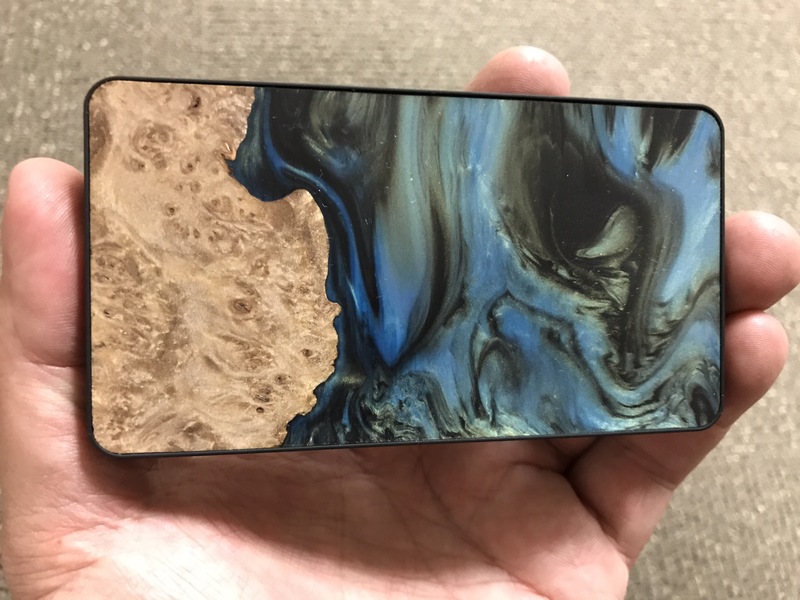 Once I got past the simple question of why, I noticed that Carved’s Wood Power Bank is available in the their very unique Satellite finish. 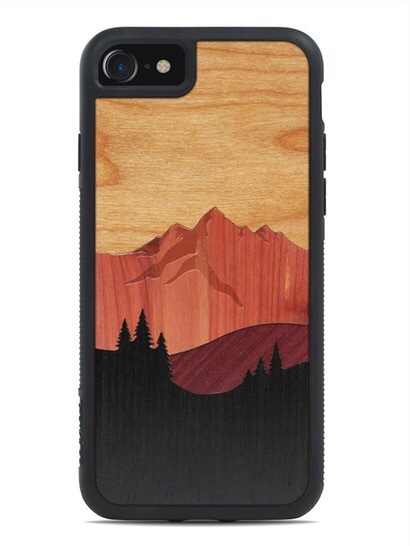 I had seen these designs previously when they became available for Carved’s cases, and I was blown away by how beautiful they look. They are wood veneers stained and finished to resemble satellite imagery of places on Earth. 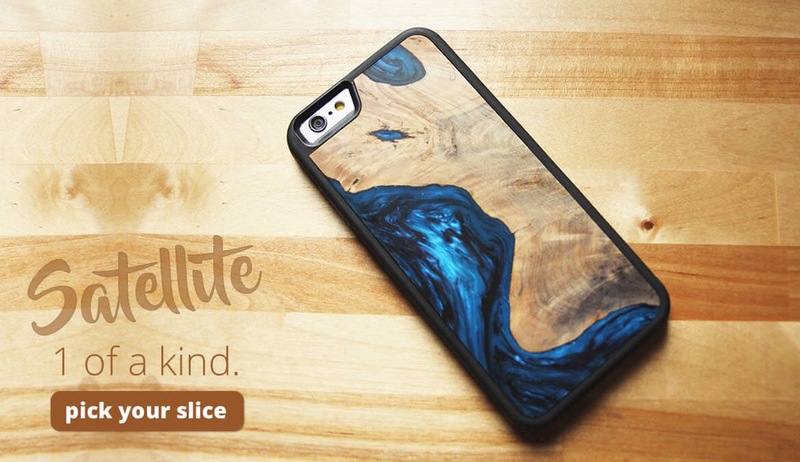 According to Carved, each case or power bank with a Satelite finish is one of a kind. Each is made individually by hand. They are made from normally discarded pieces of wood, such as burls and knots, that are strengthened and stabilized with resin. You can click here to see Carved’s full selection of Satelite finished products. As you can see, the Power Bank I have been testing has a beautiful finish that I was able to choose, in advance. The finish is actually very smooth to the touch, but the look is unmistakably that of wood when you hold it close. There is also just a little texture that you can feel when your fingers pass from the dark to light areas. 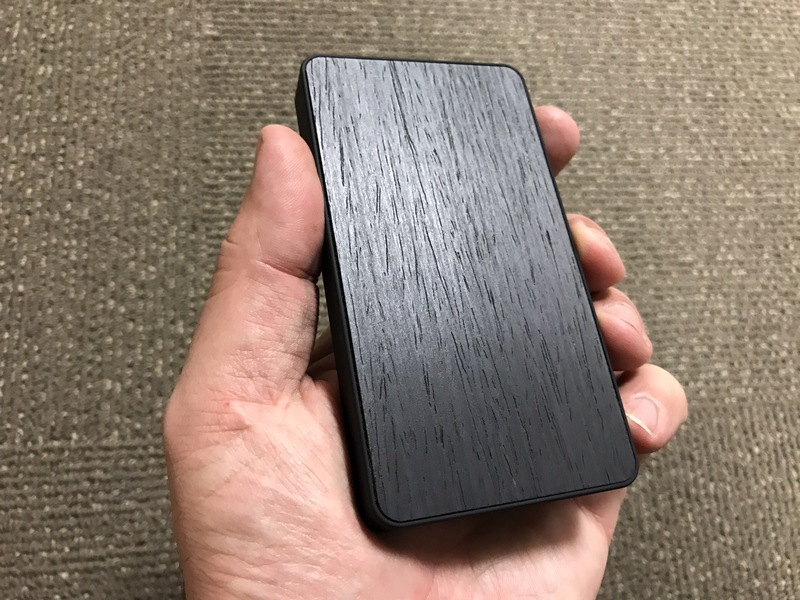 The bottom of the Power Bank has a simple black finish that has more of a traditional finished wood feel. The Power Bank comes with a convenient draw-string cloth bag for storage. If the Satelite finish isn’t your cup to tea, the Wood Power Bank is also offered in several other finshes and designs, as well. These range from simple, single color stains to designer prints and patterns, to the also very unique Seaside New Zealand Paula Shell covering. You can see the full range of designs here. The prices range from $34 to $59, depending on the complexity of the design or finish. As for the operation of the Power Bank, that’s far less interesting than the design, but just as effective. The single USB Type A Output serves up 2.1 Amps, so it is capable of fast-charging smaller mobile devices, and can even be used to to off an iPhone. With a battery capacity of 6,000mAh, this Power Bank is versatile enough to help you charge many kinds of devices. For example, an iPhone 7 Plus has a 2900mAh battery, so it will give you multiple re-charges. In contrast, my 12.9″ iPad Pro has a 10,307mAh capacity, while the 9.7″ has a 7,340mAh battery. While the Power Bank isn’t capable of fully recharging them, it is able to get you out of a jam, making it a worthy addition to your gear bag. The rest of the details are pretty simple. There is a micro USB input and an included cable for re-charging the Power Bank. 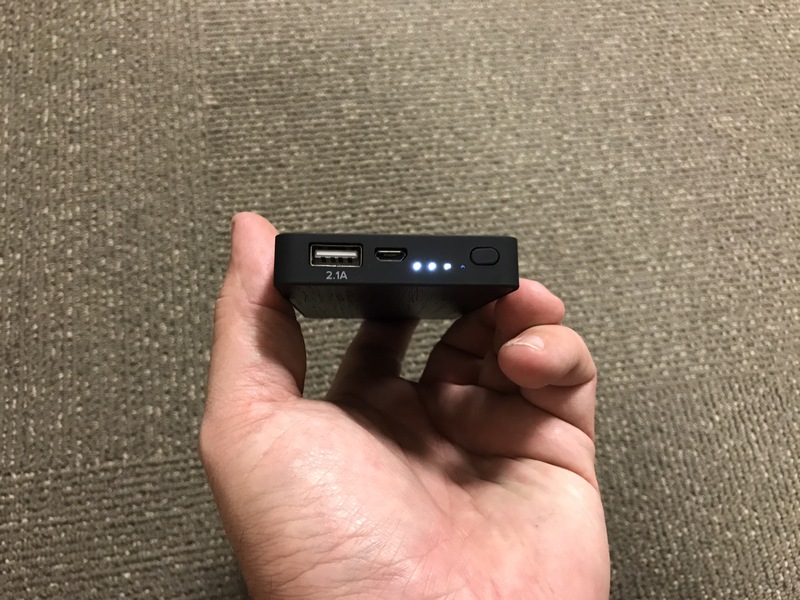 The Power Bank has a button to enable charging via the 2.1A USB port, and it has 4 LEDs to indicate charge level while re-charging, and remaining capacity during use. In my testing over the last few weeks, it has worked exactly as expected. The capacity has proven to be accurate, and the specs in line with real-world operation. While I love the look of the Power Bank, the Acoustic Acorn impressed me even more because of its functionality. Don’t be fooled by its diminutive size, as it sound it puts out feels far bigger. I reviewed the lighter-finished Bamboo model, and it is as beautiful in its simplicity as the Satelite Power Bank’s finish is in its complexity. 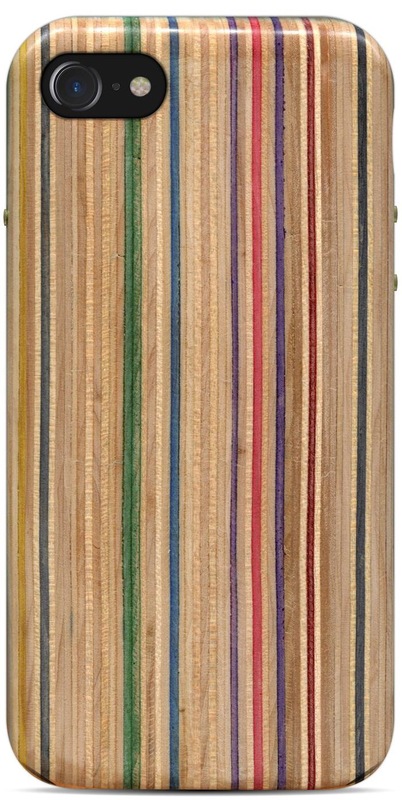 The natural finish really highlights the grain of the wood, and allows it to fit in any decor. It also has a nice, smoothly sanded feel in the hand. The only thing that really stands out is the weight. The Acoustic Acorn is dense and has more heft that you might expect at its size. Not overly so, but it is heavy enough that you notice it. More on this in a bit. The Acoustic Acorn’s design is also very simple. There is a single button on the rubber base at the bottom to activate the speaker, and two round holes at the top. The two holes at the top reveal a blue status light and a round charging port. The charging port is my only issue with the design of the Acoustic Acorn. While the charge cable and port work just fine, the USB to round plug cable is not standard. The charge cables that come with all of the many electronic devices that use the ubiquitous micro USB plug are made less essential because we all tend to have plenty of them from other gadgets. You will need to keep a good eye on the Acoustic Acorn’s charge cable, because it won’t be easily replaced without going back to Carved if you lose it. 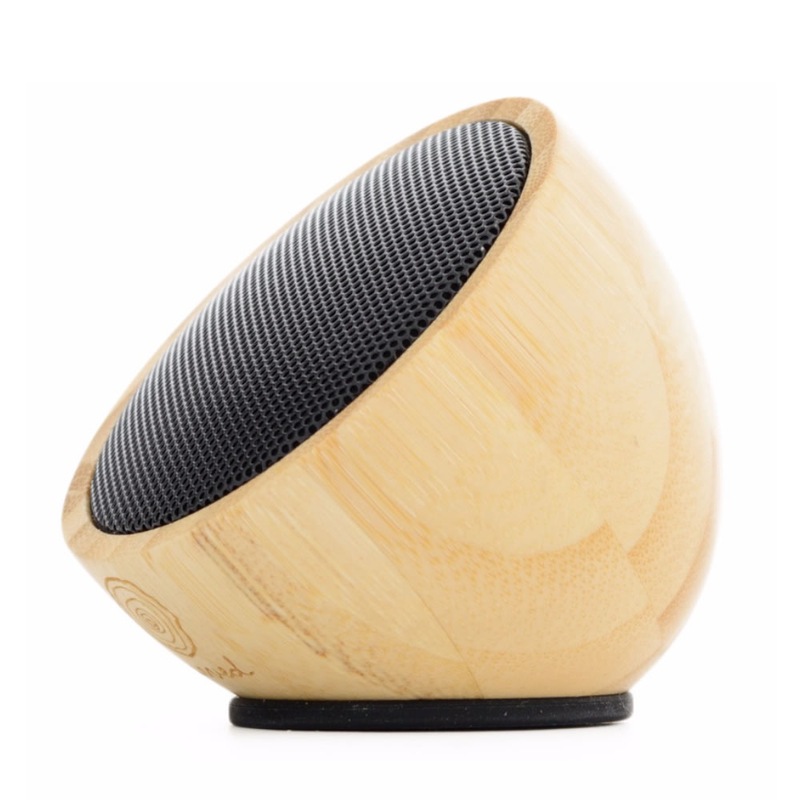 As cool as it looks as an object, the best feature of the Acoustic Acorn is the sound quality. As I have already stated, it packs a punch greater than its size. I think this is due to the combination of materials and weight. 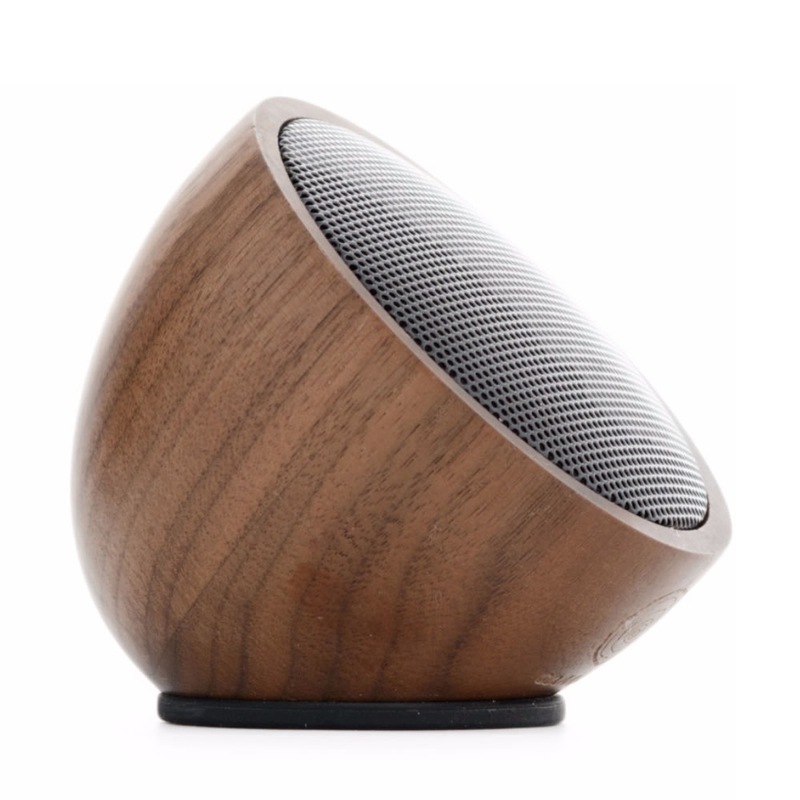 The Acorn has a warmth and richness that I don’t get from similarly sized plastic Bluetooth speakers, which I am sure is due to the dense wood construction. It also packs a bit more in the low-end that I expected at its size. The bass is more punchy than deep, but it is definitely present. The Acoustic Acorn also puts out an impressive level of volume. I was using it while working in our outdoor workshop last week, and was able to turn it up and listen clearly, even while using some power tools off and on. When I got done and started carrying items out to my vehicle, I turned up the volume even more to see if it would project far enough to listen outside the shop. It had absolutely no problem pumping out a higher volume with no distortion, even with a couple of bars to go on my iPhone’s Volume Meter. The Acoustic Acorn is available in both Walnut and Bamboo, with dark and light finishes respectively. Both of the speakers come in at $49.00, which is actually on the lower end for a quality Bluetooth speaker. Based on my experience testing it, I think it is definitely worth the price. The sound quality coupled with the portability, design, and beautiful finish make it a good value. While it may not satisfy the ears of hard-core audiophiles, the majority of listeners will be very happy with the Acoustic Acorn. If you have never heard of Carved before seeing this review, do yourself a favor and take a look at their website. 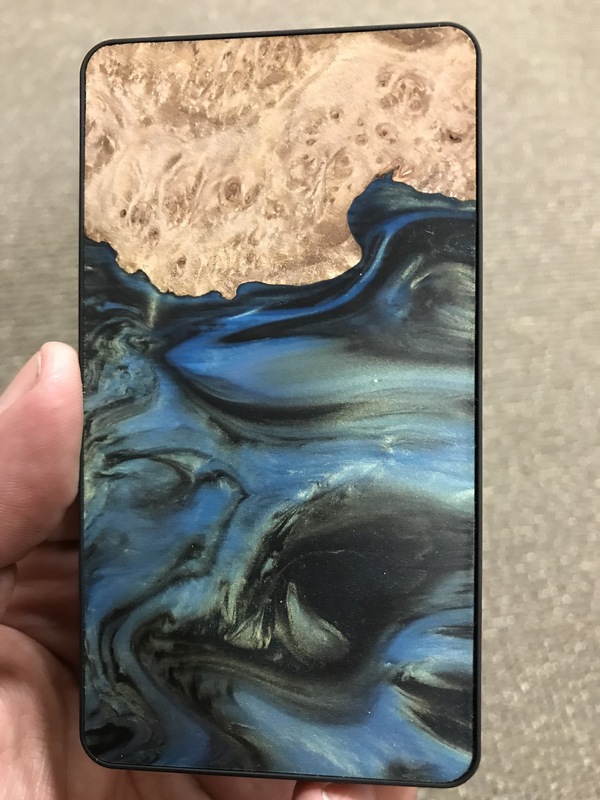 Read their story, and understand that this company is one of the “good guys.” In a world of me-too junk and cheap knockoff accessories, here is a company right here in the US that is providing high quality products to mobile device owners at reasonable prices. They are doing things the right way, and are evidently growing VERY fast because of it. 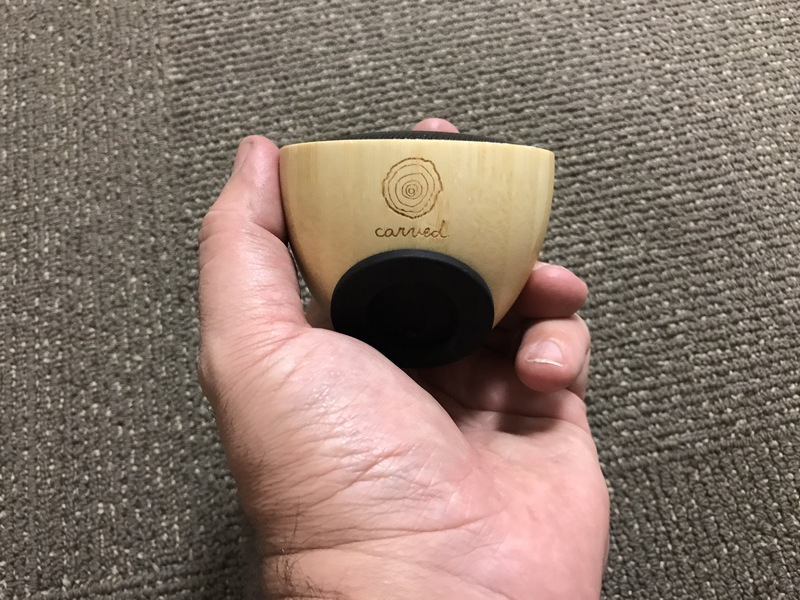 I hope that growth with allow Carved to keep bringing us new and interesting products like the Wood Power Bank and Acoustic Acorn. Both are great examples of fine craftsmanship and attention to detail. I highly recommend both of these products, as well as any of Carved’s other cases and covers. If you like what you have seen here in this review or on Carved’s website, be sure to stay tuned. Tomorrow, I will be posting details on giveaways for both the Wood Power Bank and the Acoustic Acorn. Each of the items that you see pictured here will go to one of you, so be sure to sign up! 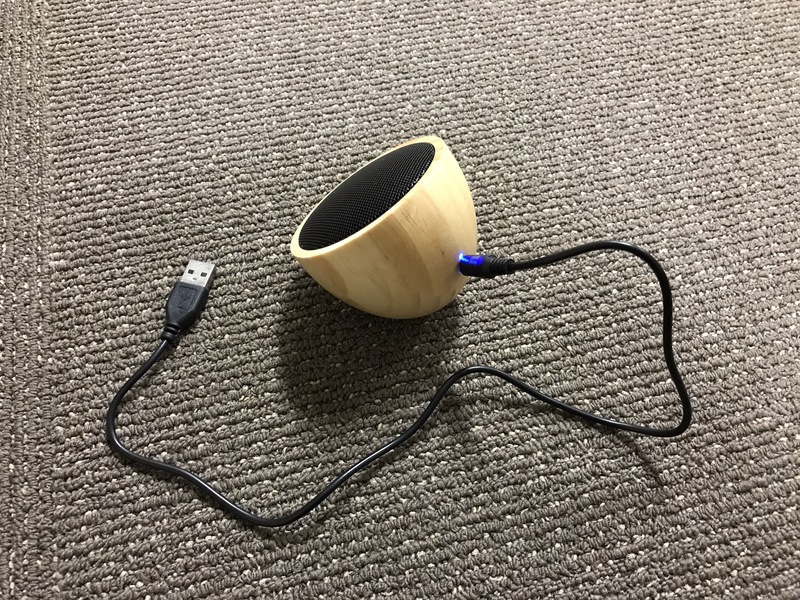 The Wood Power Bank and Acoustic Acorn Bluetooth Speaker were provided for review on iPad Insight by Carved. For further information regarding our site’s review policies, please see the “About” page.